Louisiana Supreme Court Rules Government Port Authority Can Seize a Competing Private Port and Lease it to Another Private Entity: Is This the Next Kelo? One of this year’s most acclaimed films, Little Pink House, has resurrected old wounds from the U.S. Supreme Court’s infamous decision in Kelo v. City of New London, 545 U.S. 469 (2005). In Kelo, the Court ruled that the Fifth Amendment’s Takings Clause, which allows the government to take private property only for “public use,” could be used as part of an “economic development plan” to condemn houses in low income neighborhoods and turn them over to private corporations. According to the Kelo majority, the plan satisfied the Constitution’s public use requirement because it served a “public purpose” by (allegedly) increasing tax revenue and bringing jobs to the community. In the aftermath of the 5-4 decision, 44 states—including Louisiana—adopted stronger protections for property owners, mostly relating to the meaning of “public use” or “public purpose.” However, the Louisiana Constitution provides an exemption from these reforms by allowing the government to expropriate property for “public ports . . . to facilitate the transport of goods or persons in domestic or international commerce.” Since ports are often operated by government entities, it is no surprise that one of them would eventually utilize eminent domain to remove a private competitor. Violet Dock Port Inc., LLC (“Violet”) has been operating at its dock for decades on the Mississippi River near New Orleans. Violet had a significant revenue stream from Navy contracts (mainly from berthing and mooring vessels). It consistently reinvested its profits from the port in improvements. Most recently, Violet began making arrangements to expand its seventy-five acres of land into cargo operations. St. Bernard Port, Harbor & Terminal District (“St. Bernard”) is a local government entity that operates a public cargo port facility several miles upstream from Violet. St. Bernard wanted to expand its business but found the cost of building a new dock prohibitive. St. Bernard attempted to purchase Violet’s facility, but the parties could not reach a deal because Violet’s asking price was too high. Moreover, Violet’s expansion into cargo operations would have put it into direct competition with St. Bernard for a thriving cargo business in the area. Instead, St. Bernard hatched a scheme to acquire Violet’s port via eminent domain and lease the space to another private entity. The plan was to purchase Violet’s facility, improve it with a cargo facility, and then lease it to a private company called Associated Terminals, which was involved in the plan from the outset. St. Bernard then planned to use the revenues from the lease to make future improvements to the port. Violet fought the condemnation as an unconstitutional taking under both the U.S. and Louisiana Constitutions. St. Bernard claimed it was not condemning Violet’s dock to take over its existing Navy revenues and that it merely needed the property for expanding its cargo operations. The trial court made a factual determination that the taking constituted a “public use” because the expansion served a public purpose under Kelo. Employing the highly deferential “manifestly erroneous” standard of review (which directly conflicts with decisions from four other state supreme courts), the Louisiana Supreme Court upheld the taking under both constitutions. St. Bernard Port, Harbor & Terminal Dist. v. Violet Dock Port, Inc., LLC, 2017-0434 (La. Jan 30, 2018), 239 So. 3d 243. Thus, because the trial court had concluded from the facts that there was a public purpose, the Louisiana Supreme Court would not overturn that determination absent clear error. Additionally, the court rejected a challenge under the Louisiana Constitution’s mandate that “[n]o business enterprise or any of its assets shall be taken for the purpose of operating that enterprise or halting competition with a government enterprise.” Violet argued that St. Bernard was attempting to halt competition from its proposed expansion into cargo operations. The trial court found that Violet’s cargo operations were “negligible” at the time of condemnation, the two businesses were not in competition, and St. Bernard was merely responding to increased demand for cargo operation. However, in its funding applications seeking Louisiana Port Priority Program grants to purchase Violet, St. Bernard disclosed its plan to: (1) acquire the private port and lease it to Associated, (2) service Violet’s existing customers, and (3) expand into the same type of cargo business that Violet was cultivating. Once again, the Louisiana Supreme Court deferred to the trial court’s findings that St. Bernard was not attempting to take over Violet’s revenue stream from its Navy contracts—just attempting to expand its cargo operations. Last month, Violet filed a Petition for Writ of Certiorari with the U.S. Supreme Court, hoping to correct the Louisiana Supreme Court’s application of Kelo. The questions presented are: (1) Did the Louisiana Supreme Court err when it held that the Fifth Amendment’s “public use” requirement is a question of fact to be resolved in the trial court, subject only a manifest error review on appeal? ; (2) Do the Fifth and Fourteenth Amendments prohibit government from taking a fully functioning private facility with the intent to lease it to another private entity to operate, with the revenues earned from those operations to be shared by both the local government entity and its favored private actor? 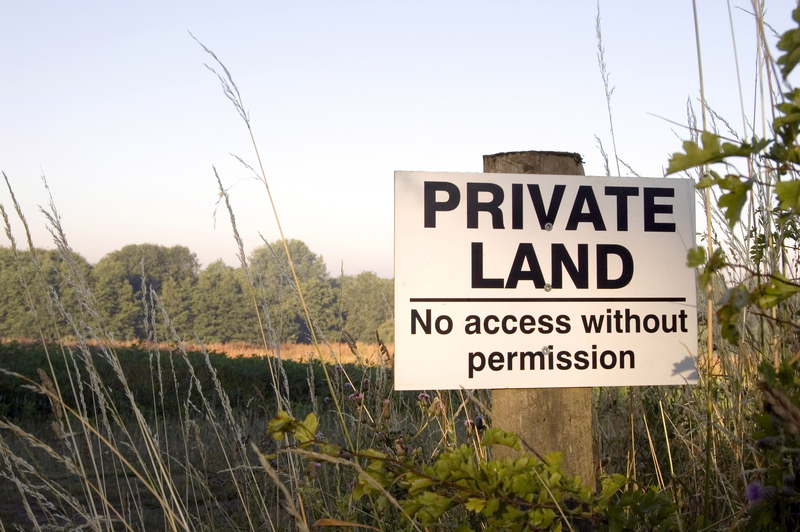 This case presents an important issue for property rights. First, as Petitioners argue, employing the “manifest error” standard of review severely undermines the judiciary’s check against the misuse of government takings powers. Second, Petitioner points out, “[i]n Kelo, the Court rejected application of bright-line rules in favor of fact specific analysis. As a result, property owners, courts, government, and scholars have been left to speculate about whether there is any limit left on the scope of government authority.” Allowing government entities to seize competing businesses for the sole purpose of economic development would severely diminish any tangible post-Kelo limits on what is a permissible “public purpose.” Moreover, the opportunity for governments to use eminent domain to protect their monopolies in conjunction with politically-connected private businesses would strike the same chords that triggered the outrage over Kelo. If the Supreme Court grants certiorari, it could deal a huge victory for property rights by limiting, or, perhaps, overturning Kelo. Dana Berliner, Looking Back Ten Years After Kelo, 125 Yale L.J. Forum 82, 84 (2015). La. Const. art. I, § 4(B)(6). Christian Corrigan is an attorney at Mountain States Legal Foundation (MSLF), a public-interest law firm in Colorado that defends private property, free enterprise, and limited and ethical government. MSLF joined the National Federation of Independent Business’s amicus curiae brief in support of Petitioner’s writ..